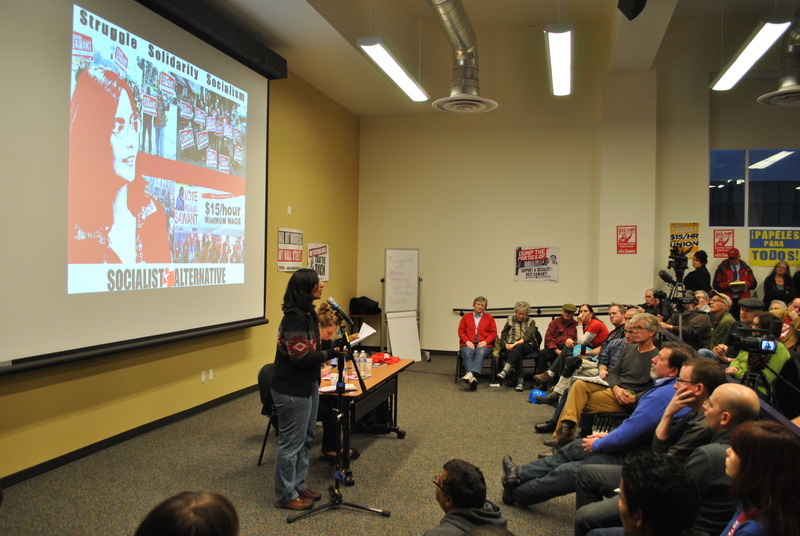 With the most recent ballot returns putting Socialist Alternative candidate Kshama Sawant ahead of Democratic incumbent Richard Conlin by more than 2,000 votes, Conlin has conceded and Sawant declared this race a victory. 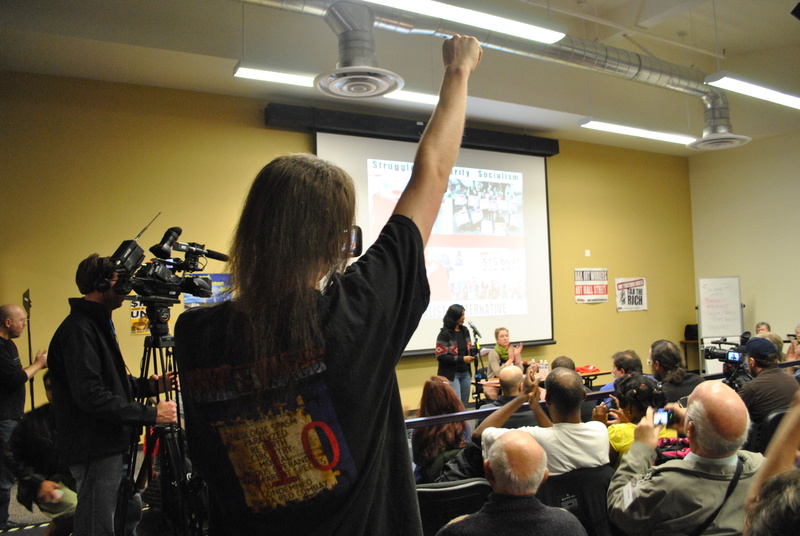 Consequently, the Sawant campaign held a rally at the local SEIU 775NW headquarters. 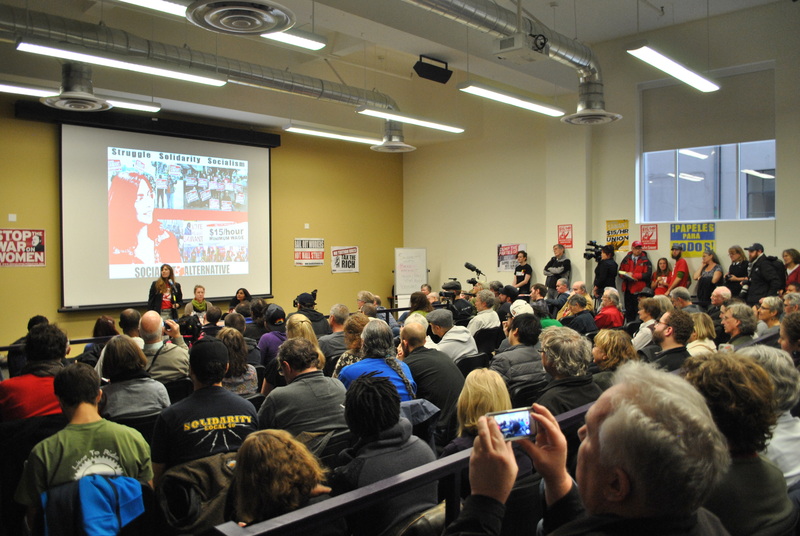 The scheduled speakers included Carlos Hernandez (a key figure within the fast food workers movement), Nicole Grant (electrical workers union, local 46), Abdi Mohamed (Somali American Public Affairs Council), Geo (the vocalist from Blue Scholars), and Kshama Sawant herself. The campaign is in debt by an estimated 25,000 dollars for various expenses and is still taking donations here. 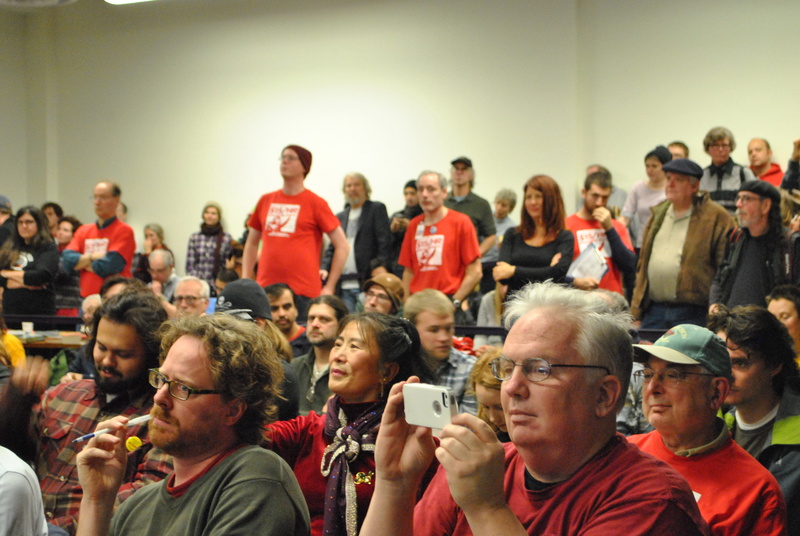 Below are photos taken at the event. 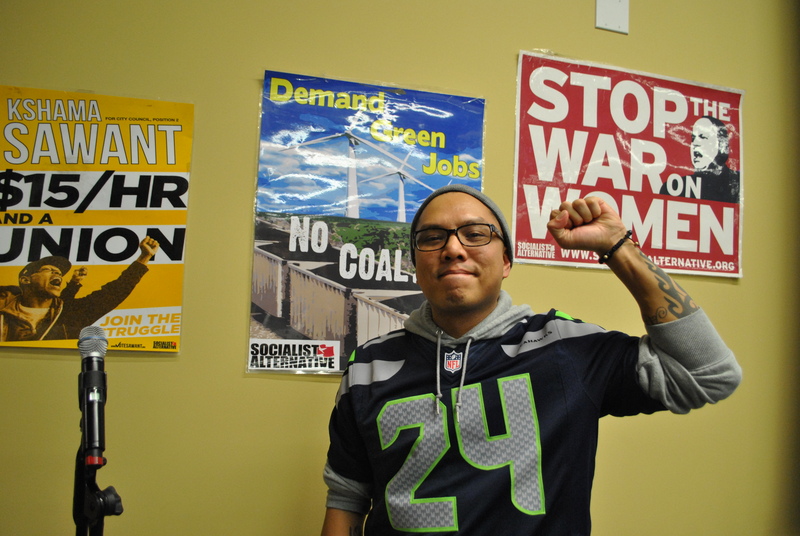 Geo from Blue Scholars, Seattle-based hip hop duo who performed at the event. 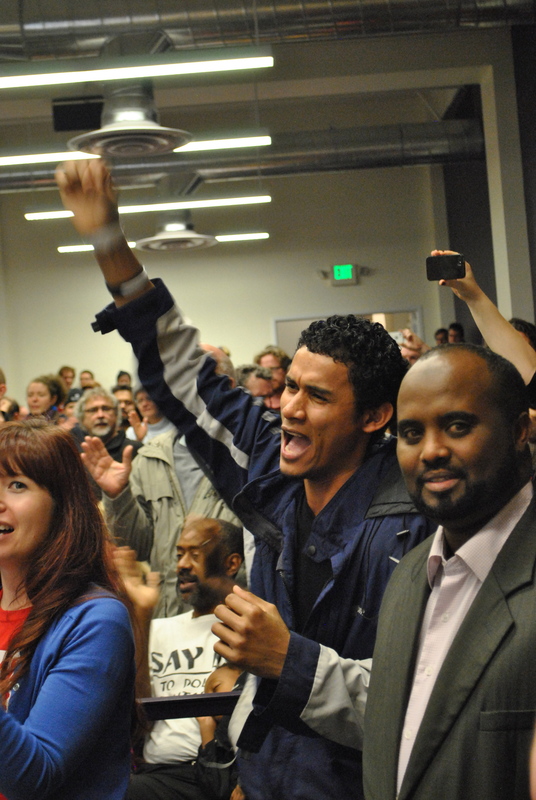 Nicole Grant asks crowd for donations to Sawant Campaign. 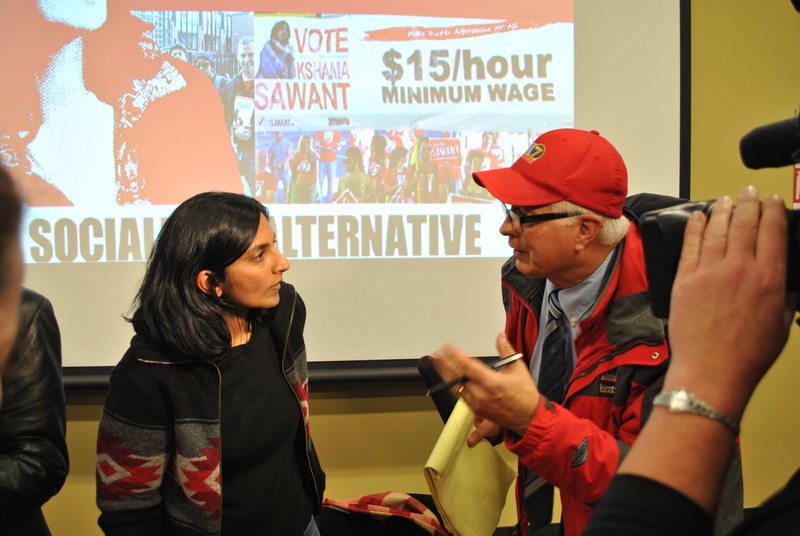 Media reps talk to Sawant after her speech.